Finding natural hair products for my daughter has been a journey. She has an entirely different hair texture from mine. Some things that work for my hair don’t necessarily work for her hair. My daughter has really soft fine hair, but it is also very thick. So it was a bit of a struggle finding products for her hair that wouldn't weigh her hair down, but would moisturize her hair as well. Having a regimen for your child is just as important as finding products that work. Through trial and error, I have found some staple products that work well on her hair. Here are some of my go-to products that I use on my daughter's hair. I have two shampoos that I love using on my daughter's hair right now. The Honey Baby Naturals Honeychild Moisture & Scalp Balance Gentle Shampoo. This shampoo is amazing, and a little goes a long way. I love this shampoo for my daughter’s hair because it is sulfate-free and very gentle, but it still cleanses her hair very well. This shampoo also has a healing blend of honey and chamomile which helps to leave the hair and scalp moisturized after washing and helps with dry or flaky scalp. I also love the EDEN BodyWorks CoCo Shea Shea Berry Natural Detangling Shampoo because it's a very gentle detangling shampoo that makes my daughter's hair very soft and easy to detangle. If you follow me online, then you already know how important conditioning the hair is to me. There is no exception when it comes to my daughter's hair. I recently fell in love with Creme of Nature’s Mango & Shea Butter Ultra- Moisturizing Conditioner for my daughter's hair. I use this as a deep conditioner and let it sit on her hair for 15-20 minutes. I can easily rake my fingers through her hair afterward and detangling is a breeze! 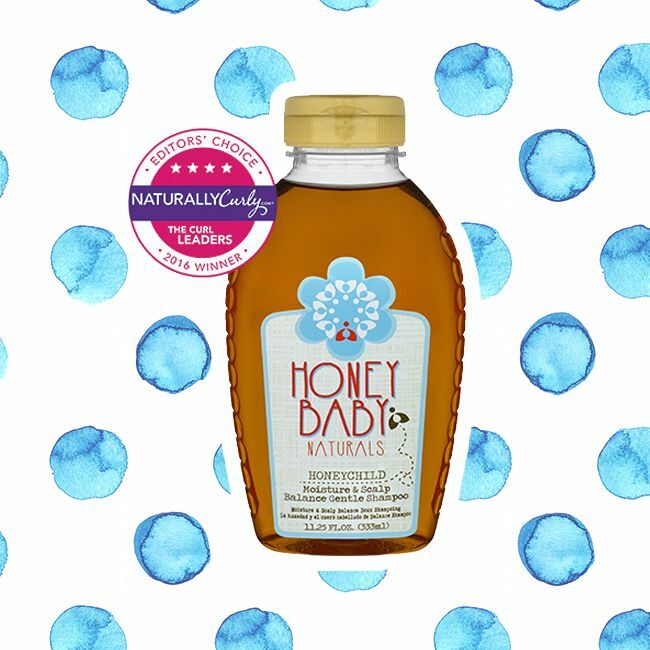 I also love using Honey Baby Naturals Knot My Honey Instant Detangler for her leave in. This conditioner melts all the tangles away and makes my job so much easier when styling her hair. I love this leave-in conditioner because it's very light weight and it smells amazing as well. When it comes to styling my daughter's hair, the products I use to style depend on what type of style I'm creating. I love using Eden BodyWorks Kids Coco Shea Berry Natural Curly Creme. I look for products that define my daughter’s hair and also tame frizz. This works so well on her hair. 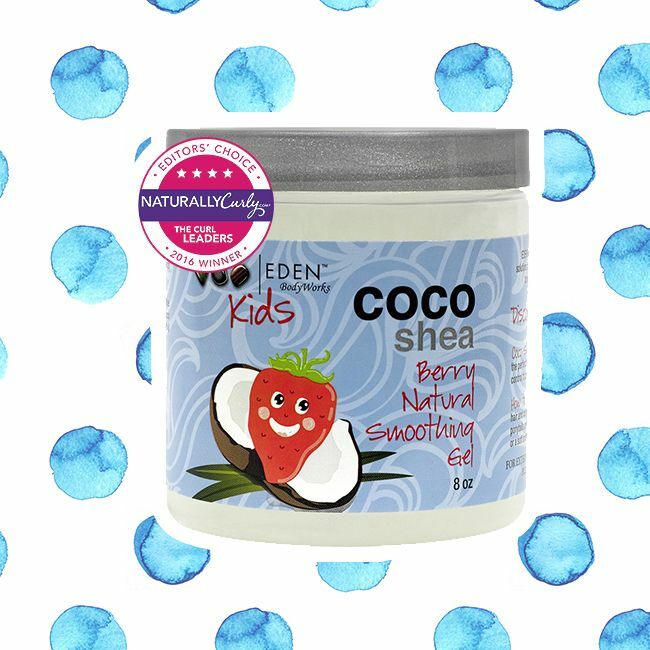 I also love the Eden BodyWorks Kids Coco Shea Berry Natural Smoothing Gel. This gel gives a very flexible hold. Since my daughter’s hair is on the fine side, I can’t use a lot of heavy gels on her hair. This one does the trick, and I can style her hair with ease. I also use light weight oils such as grapeseed oil to seal in the moisture to her hair. What products are some of your holy grails when it comes to your children's hair?